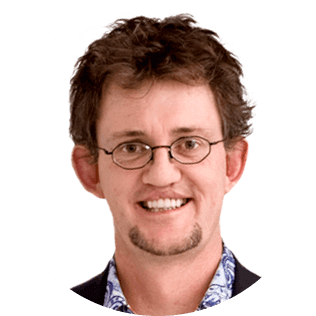 Michael Bungay Stanier is the founder of Box of Crayons, a company best known for teaching 10-minute coaching so that busy managers can build stronger teams and get better results. He has written a number of books. His latest, the Wall Street Journal bestseller The Coaching Habit, has sold over 350,000 copies. It has been praised as one of the few business books that actually makes people laugh out loud. He was the first Canadian Coach of the Year, is a Rhodes Scholar, and was recently recognized as the #3 Global Guru in coaching. It’s not comfortable to admit this to yourself, and even less comfortable to admit it to the person you’re coaching. Mostly, we just cross our fingers and hope for something a little better next time. And we’ll share some practical ways to tackle this, in a way that serves both the coach and the person being coached. Managers and leaders find themselves stuck in three vicious circles. They’re frustrated by teams that have become over dependent on them. They’re overwhelmed by the amount of work they have to do. And they’re disconnected from their own Great Work—the work that has impact, the work that has meaning. Breaking out of those vicious circles is simpler than you might think. Understanding the power of Great Work and mastering the Five Essential Questions can help managers, leaders and coaches increase the focus, courage and resilience they need to have more impact in the work they do. At the end of this session, participants will not only have practiced the five core questions, but will have a plan to do more Great Work. This session is based on Michael’s best-selling book, The Coaching Habit. With over 400,000 copies sold so far, it’s been the best-selling coaching book since its launch. 1. Discover the three vicious circles that keep them—and their teams—stuck. 2. Understand the difference between Good Work and Great Work—and why they should even care. 3. Learn the five core questions they need so they (and those they lead) can focus on the work that matters. 4. Find the Best Coaching Question in the World (it has just three words).